Coupon Code Description: MoreBeer currently has a sale going on that will save you $500 on one of their famous stainless steel homebrewing sculptures. 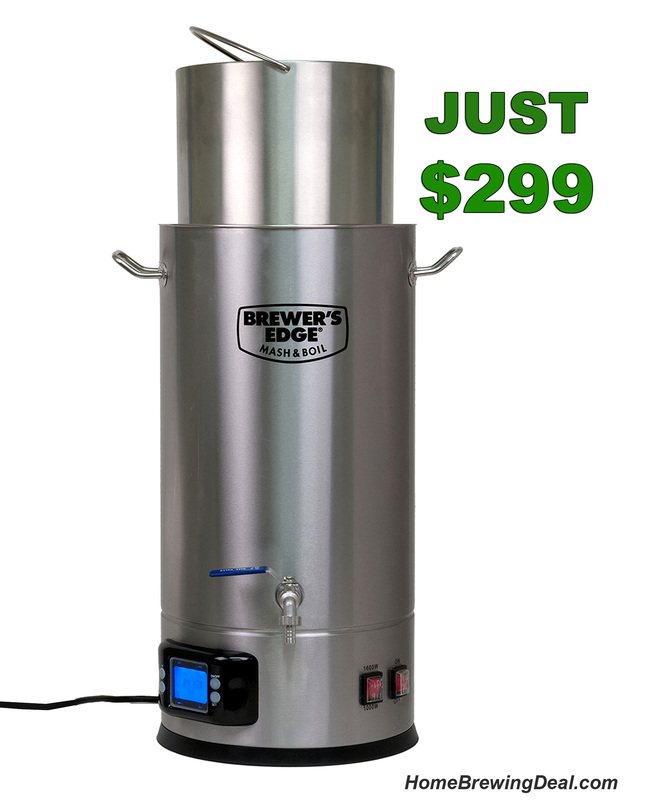 More Beer makes the very best home brewing systems available and they rarely go on sale. So if you have been looking to purchase one, this might be the time. This is truly the easiest to use all-grain system out there. With nothing electrical to go wrong, simple valves to control flow, easy to view mashtun, and no pumps its just plain easy. The frame of this homebrew rig is made from 304 stainless steel and welded in the MoreBeer metal shop in California. The low profile heavy duty stainless steel homebrew kettles are formed in a mold via the use a punch. This means they are made from a single piece of stainless with no welded seams. These beefy kettles then get an added aluminum layer that is capped with another layer of stainless. The added aluminum helps keep the kettle bottom from scorching and allows for easier cleaning. 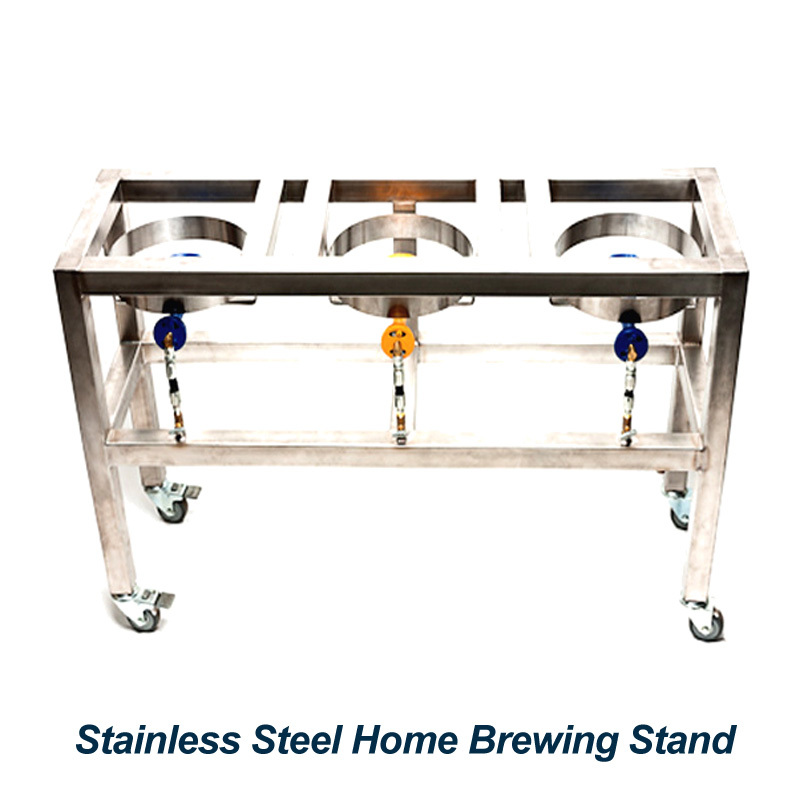 Right now Adventures in Homebrewing / Homebrewing.org is offering a Brustus stainless steel homebrewing stand for $1299, with the burners included. This is a beautiful home brewing rig done in stainless steel. It sits a bit higher than the one that I built and has a few other structural differences but pretty darn similar, best of all, you don’t need to weld it yourself! This stand is a great base to build off of and the frame allow you to easily add on items like home brewing pumps, a RIMS controller and just about anything you can dream up. 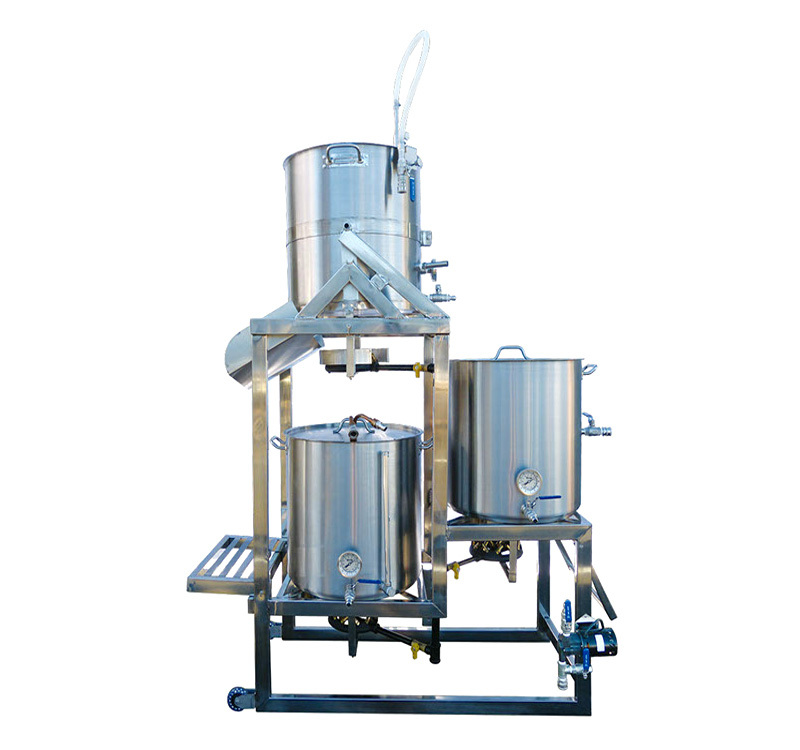 One of the best things about it is that it does not come with a bunch of extras that you may not need such as kettles and wort chillers, like other home brewing stands do. This way you can use your existing equipment to save money and only pay for what you need. It seems like I am always trying to make small improvements to the home brewing rig to make it as functional as I can. This weekend was no different. 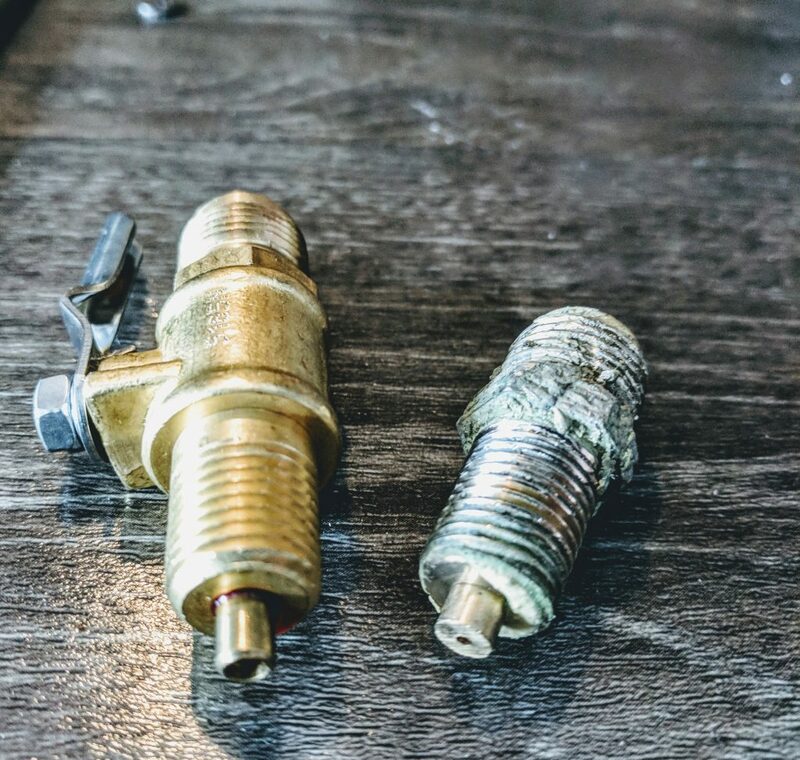 I ended up changing the propane lines out for flexible versions that are easier to adjust and adding some sanitary fittings and a sight glass to the RIMS heating bar to enable me to clean it more easily and have some visibility if I run into issues during recirculation. I think my favorite of the additions was the site glass. In the photo above you can see it in the center of the RIMS heating element bar. I like that it allow me to inspect the condition of the heating bar so that I can tell if it needs to be scrubbed and also allows me to check on the fluid volume level of the bar to make sure I am not running dry. Description: Adventures in Homebrewing currently has a sale on many of their Ruby Street homebrew rigs, Home brewing Racks, Brew rigs and Home brewing stands. In addition to that, RubyStreet recently released a new digital home brewing system that you can check out. 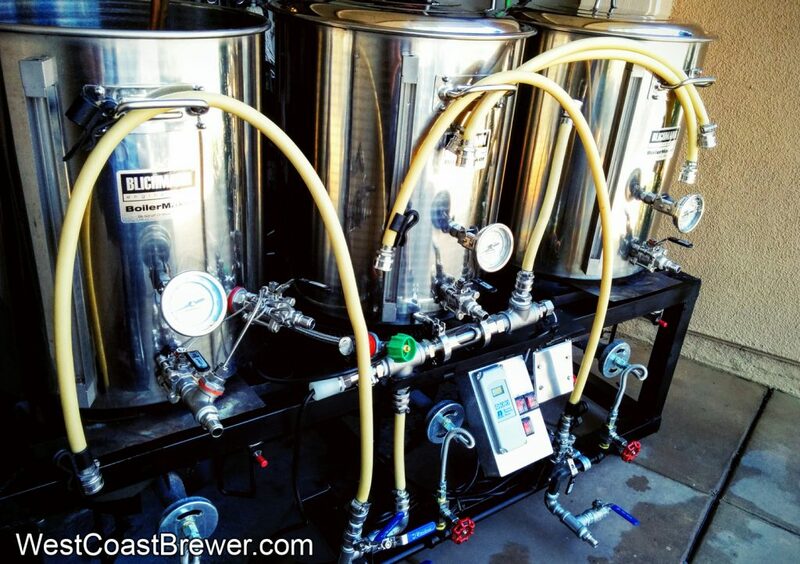 These home brewing rigs run from about $1200 to over $5000 for a fully loaded digital system. The RubySteet Fusion home brewing system is designed as their most compact and portable model ever. This homebrewing rig is loaded with professional features, the Fusion 15™ is the newest addition to our lineup of professional grade brewing rigs. 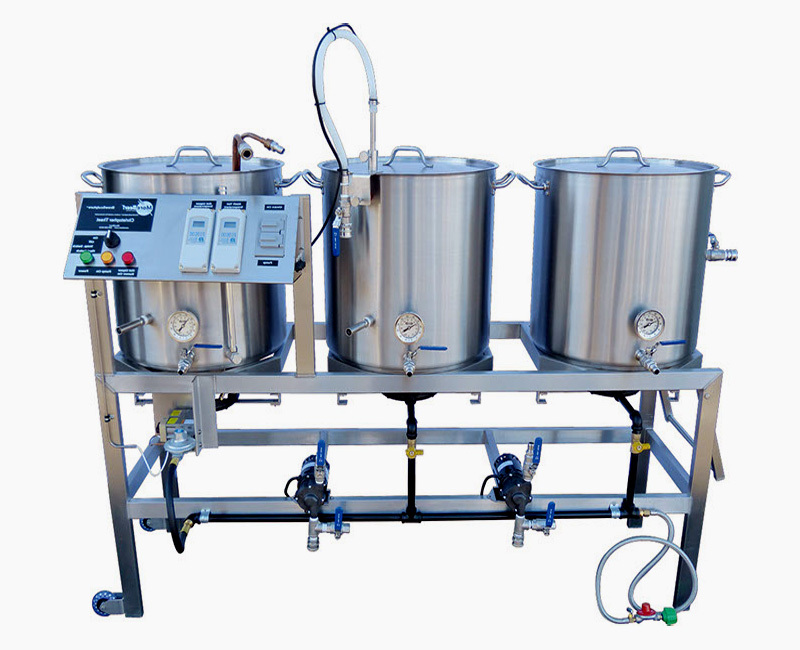 This brew rig is called the Fusion because it is a culmination of profession beer brewery design features, conveniences, and fabrication technology that they have drawn from our other designs as well as countless custom builds. 15.5 Gallon Kettles will brew a 10 gallon batch. The small frame allows this system to easily transport in most SUV’s. 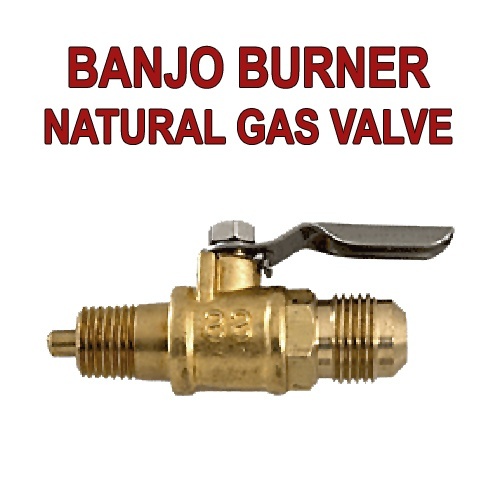 Simple natural gas conversion option makes this system the perfect for commercial pilot use and home-brewers that simply want the best. Ruby Street now has designed their own Digital controller for the RIMS and HERMS System. Made from the highest quality components available right here in the USA! With the digital control package we recommend adding the HERMS option to fully utilize the mash temperature control feature. New Digital Touch Screen Homebrewing System from More Beer! Great news homebrewers, MoreBeer just released a follow up to their popular line of Homebrewing Brew Sculptures and HomeBrew Rigs! They are bringing homebrewing into the future and to a whole new level with a digital touch screen interface for they Low Rider homebrewing stand that lets you control almost every aspect of your brew session. 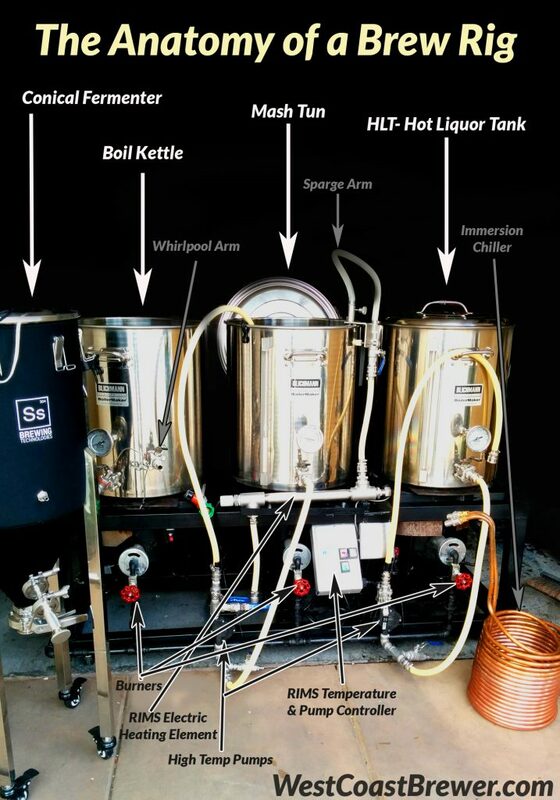 They are calling this new digital, stainless steel homebrewing system the Low Rider! The Low Rider is their new top of the line Single Tier Brew Sculpture. Since this brew system is low to the ground with all of the brew kettles at the same height, it allows you to access each kettle without the need for a step stool. That is one of the reasons why these stainless steel homebrewing systems are popular pilot systems for breweries like Russian River and Sierra Nevada. Includes a More Beer Ultimate Sparge Arm, which is one of the best sparge systems available in home brewing. The mash tun has a perforated stainless mash screen that is reinforced for use with pump recirculation. Internally etched volume markers on the kettles makes for simple mash water additions. 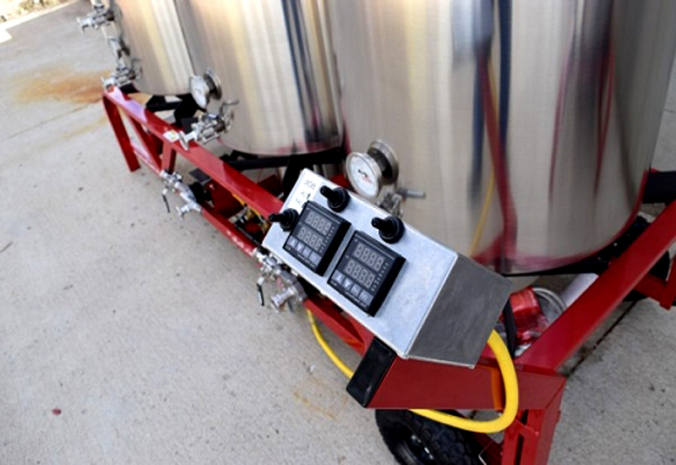 Top of the line homebrew burners that are fast, efficient, reliable and have precision flame control. The included boil kettle features an innovative whirlpool maker! This allows the home brewer to leave the hops and trub behind when transferring your wort to your fermentor! The bottom of the boil kettle is tri-clad with a 4mm aluminum core sandwiched between two layers of 304 stainless which helps to eliminate scorching! This new digital homebrewing system comes in two different versions. The “low rider” format featured at the top of the article and this tippy dump version that is shown above. The two formats are priced similarly, so depending on which design works best for you, that can drive your choice. What makes this new MoreBeer homebrewing system so incredible is the innovative new digital touch screen brewing control system. This new digital brew rig control system is built around a 7 inch touch screen that lets you control everything from times and temperature to setting reminders for additions throughout the entire home brewing process. They have really brought home brewing into the future with this new digital brewing system. The touch screen control panel allows the home brewer to choose from 3 preset mash schedules and even design their own schedule with up to 5 steps. Best of all, the digital control module maintains the hot liquor tank temperature for you by automatically turning the burner off and on and monitoring the temp with a digital probe. If you are old school or afraid of Sky Net taking over, there is also a manual mode that allows you to over ride the system. 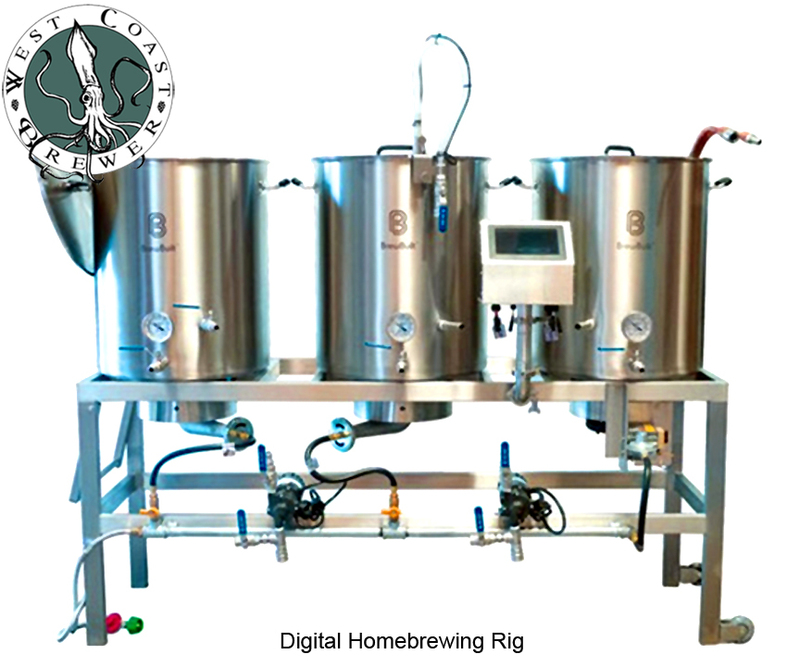 Click Here for all of the details and pricing on these new MoreBeer Digital Homebrewing Systems! 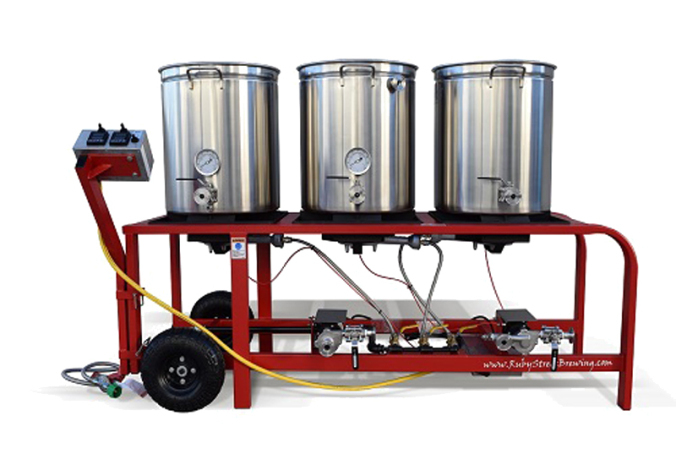 Morebeer also sells a variety of other homebrewing rigs, brew stands, brew rigs, homebrew rack, brew sculptures and homebrewing stands from other vendors such as Blichmann and Pico Brew. Pre-built beer stands, turnkey home breweries, pre-made brew sculptures, single tier brewing stands, multi tier home breweries… call them what you will. Before your only option was to build your own brewing stand, but now, if you have the money; there are several pre-built home brewery options available. So which is the best option for your money? If I had not already gone through the blood, sweat, tears and frankly burns of welding and constructing my own single level home brewing stand; I would opt for one of MoreBeers brewing sculptures. Over the last 5 years they seem to have perfected the pre-manufactured beer rack. 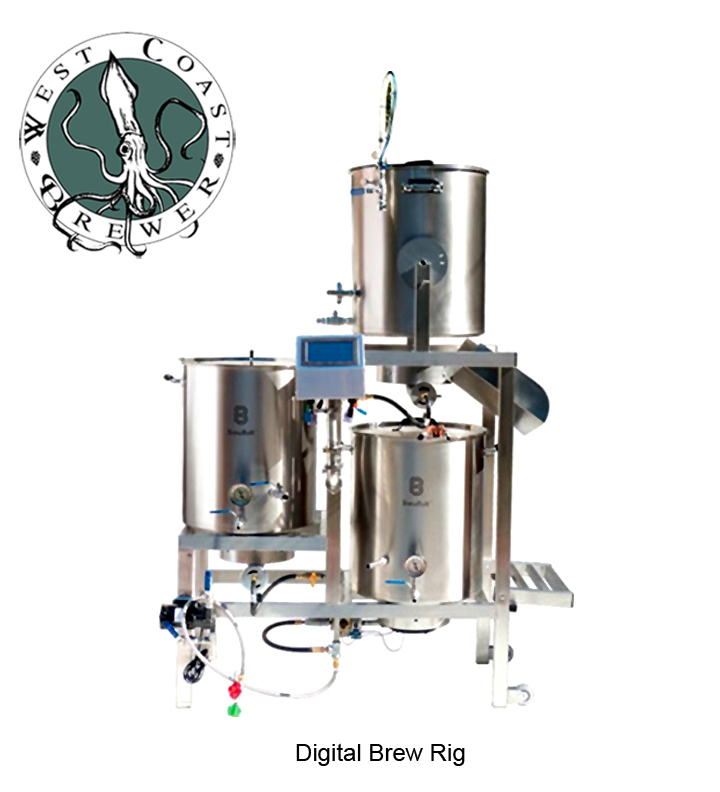 They have 3 styles of brewing sculptures available for you to choose from; a stainless steel single tier brewing rack, a 3 tier tippy-dump brewing sculpture and a 3 level gravity based home brewery. 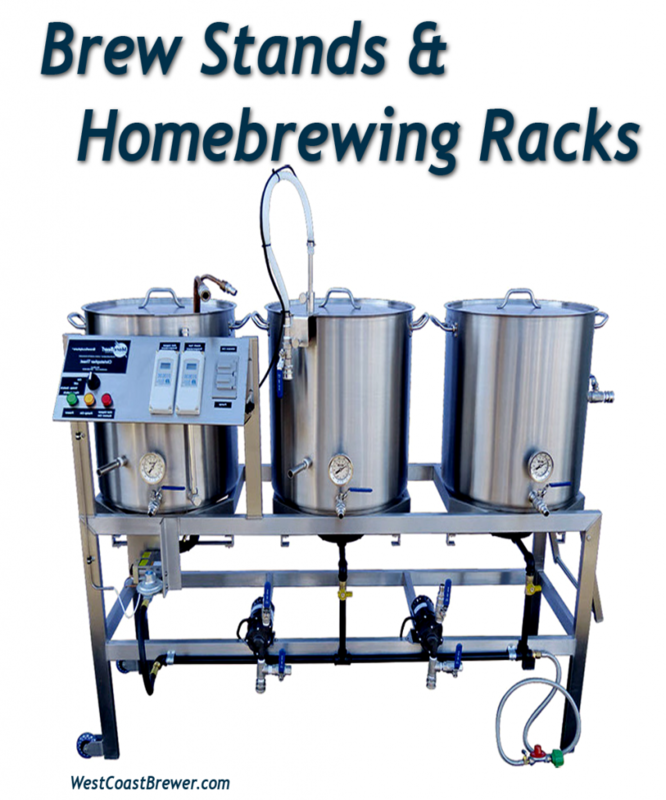 I would personally go with their single tier home brewing stand, but if you have space limitations or can not afford the hefty price tag of the single level brewing stand, the stainless steel multi tier brewing stands are a great option as well. The only downside that I can see is the price. One of these stainless steel home brewing stands will run you anywhere from $1099 to over $6000 depending on the style, capacity and features that you want in your brewing sculpture. 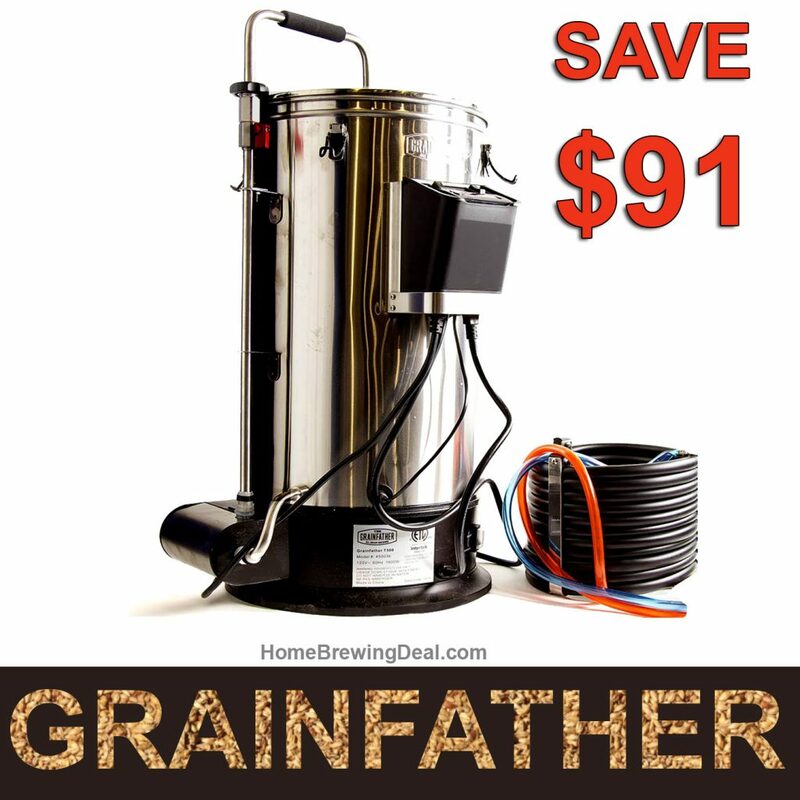 In all reality that is not too bad of a deal when you consider that it comes with the kettles and almost all of the items that you will need to have an out of the box, ready to go, top of the line all grain home brewery constructed from stainless steel.